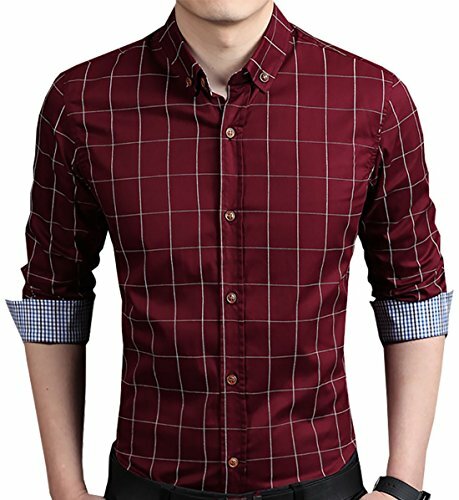 localmode Men's Long Sleeve Plaid Slim Fit Button Down Dress Shirt.. Fashion Plaid and Button-down Design, Concise and Easy, Fashionable Elegance, Convenient and Practical, and both Individual Character and Sport Function. Suitable for: Sports, Casual, Business Work, Date, Party, Perfect gift for families, friends..